Kauth & Mayeur began servicing Automobiles since 1977 for individuals in the Peoria, Illinois area. We are Central Illinois Bosch-Authorized Service Center for your import automobile needs. Kauth & Mayeur has been awarded two consecutive years for being the finest Bosch Authorized service center in the nation. We service all European automobiles and the full line of Asian manufacturers. Our diagnostic equipment and technicians are available for all import vehicles from vintage to late model. We specialize in Mercedes-Benz, Porsche, Audi, BMW, Volvo, Mini, Jaguar, Toyota, Lexus, & Saab. We have also made the substantial investment in repair and service & diagnostic equipment for Range Rover, Ferrari, Maserati’, Lamborghini, Rolls-Royce, Bentley, and Aston-Martin. Michael Benet is the President of Kauth & Mayeur. 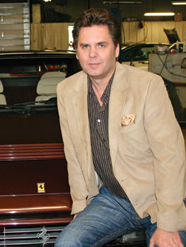 Michael personally tunes High Performance Porsches for the Nations top athletes. He is also a PRO-Licensed Sports Car Racer with multiple national wins, poles, and records. He and several of his staff of twelve are trained in servicing the top import brands. We are located on Orange Street a half block off of Main Street in Peoria neighboring the Peoria Next Innovation Center. For over 30 years we have been in that same location growing with Peoria. We are conveniently located near Bradley University, Caterpillar downtown corporate headquarters & all of the hospitals and associated medical buildings. Come visit us. We offer a Shuttle Service to our clients. Our courtesy van is running all day. If your car is being serviced in our shop, we can schedule our courtesy van to bring you to work until your car is complete.